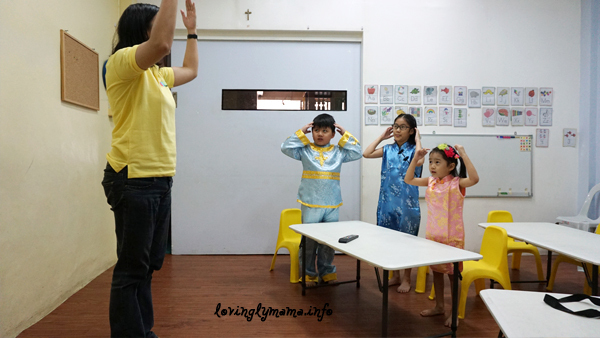 The Bacolod Homeschoolers Network held a Chinese New Year activity for our kids in celebration of their Chinese heritage. 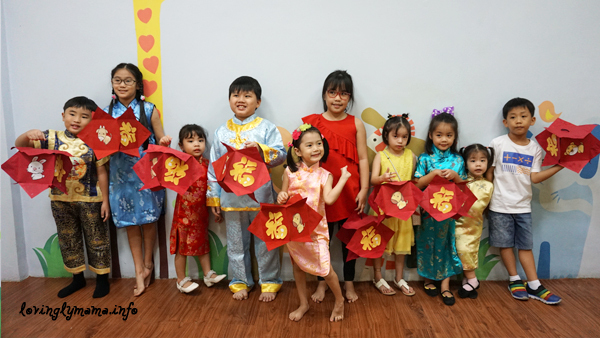 The Bacolod Homeschoolers Network and friends during our 2018 Chinese New Year activity at KIDS Inc.
Chinese New Year is fast approaching and here in Bacolod City, it is a big thing because of the Bacolaodiat festival. 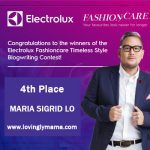 As a Bacolod blogger, we get invited to all sorts of events, but with the Bacolaodiat, even if I am not invited to any of the official events, I make it a point to go out and check out the public activities for my children’s sake. 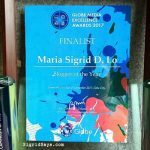 We have Chinese blood coursing through our veins and looking at my children, you would know that they come from Chinese lineage. Our little Chinese dolls in their Chinese costumes. Aren’t they adorable? 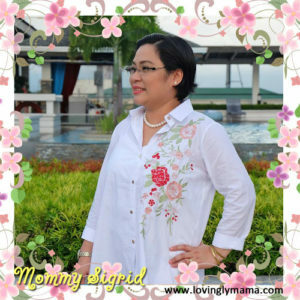 As a homeschooling in Bacolod family, we hold these kinds of activities once a month to foster camaraderie among homeschoolers and also to provide the kids with a venue for extra curricular activities. The families are not obliged to join, so whoever is available and interested in a certain event can just signify their intention to join. 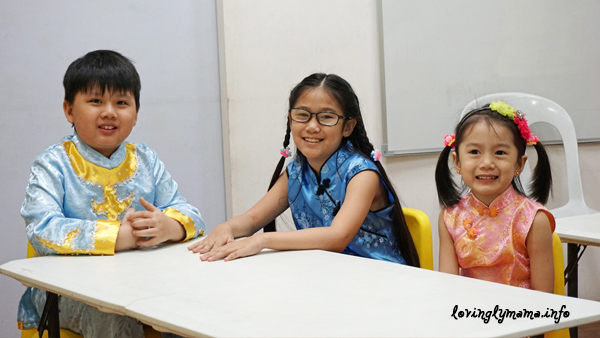 This year 2018, the Year of the Dog, we had an advanced Chinese New Year celebration for the Bacolod Homeschoolers. 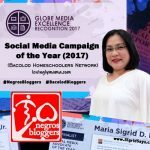 I did not organize the event myself, instead, I enlisted the services of KIDS Inc, an indoor playground and tutorial center here in Bacolod, to help us hold this event for the Bacolod homeschoolers. We just asked the parents to let the kids wear their Chinese costumes for kids for a nice and complete CNY experience. After all, costumes are really a big part of child’s play, especially in stirring up the imagination. Read my other article on dress up play for children. Link below. During the circle time, they had some action songs. These kids are good friends : Cody, Achi Dindin, and Siobe Shane. They also celebrated CNY last year together at the Yuan Thong Temple here in Bacolod. 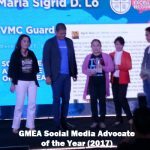 While all the participants have Chinese parentage, they are not all Chinese speakers so Teacher Roselle made sure to enunciate the lyrics to the songs so that the kids learned to pronounced the words correctly. They learned the different animals of the Chinese zodiac and where they were classified accordingly based on their birthdays. They also learned about the different famous people in history who were born under the different zodiacs. 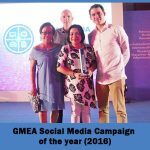 Teacher Roselle asked for the kids’ birthday before the event. 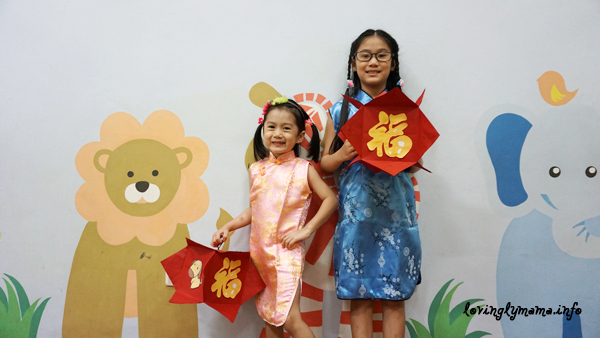 She prepared sheets of red paper as well as paper cutouts of different Chinese animal zodiacs based on the kids’ birthdays. She also had the Chinese character for luck and a printout of dogs. These were the designs of the Chinese lantern. 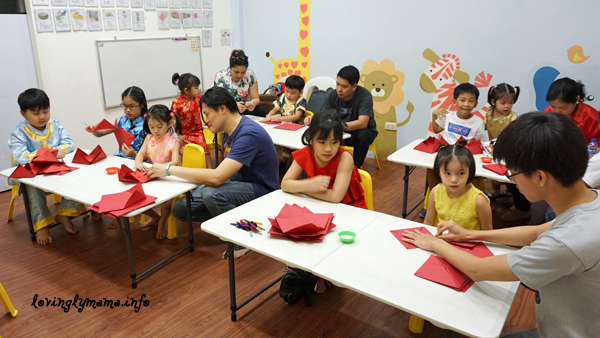 The kids got busy making their Chinese lanterns during the crafts time. Each finished Chinese lantern had the two symbols of luck, the dog photo, and the animal character representing the child’s birthday. Some of the younger kids like our Siobe Shane needed help with assembling their lanterns so it became a nice bonding activity between parents and children. 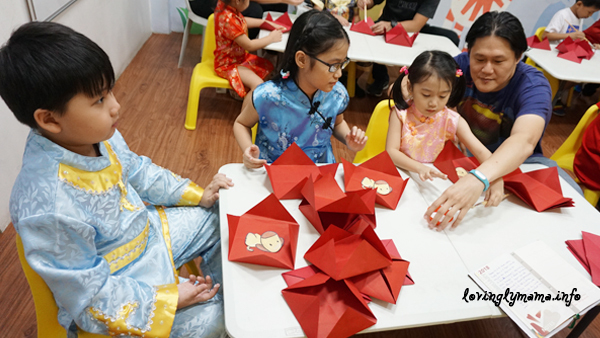 The Chinese lantern making activity was also a bonding time with the parents, as some of the younger kids could not complete the craft. 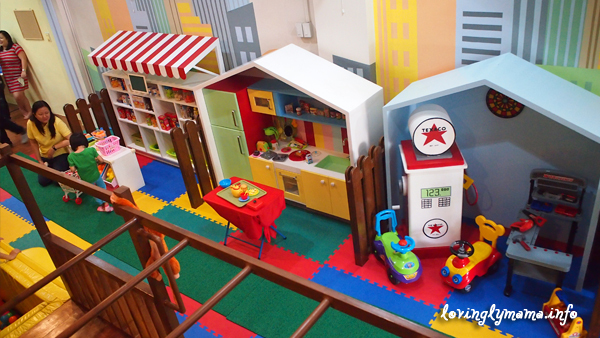 The fee for the entire two-hour activity is only P250 per child, inclusive of materials and classroom rental. Activities like these are actually pretty easy to do, except that parents sometimes do not have time to research and put together everything. Another problem is also the venue, so it is nice to engage establishments like KIDS Inc to do this with us. All we needed to do what to show up. After our activity, the kids had a short play time at the indoor playground area of KIDS Inc.
Part of the indoor playground at KIDS Inc. Engaging kids in different activities is good for their overall development. Hope my kids can attend these type of activities. Awww is true for the Chinese was New Year’s Day! What beautiful ideas! i love the Chinese lantern making idea, it can be a very cool way to entertain kids as they learn about a new culture. That looks like such a fun event for the Chinese New Year. I know my kid would love making paper lanterns. What a great craft! I know this is something my 4 year old would definitely love to do, whether it’s Chinese New Year or not. Plus it gives me a great opportunity to teach him more about a different culture. These are lovely activities for Chinese New Year. I bet the kids enjoyed so much. Lantern making is such an interesting activity! All of these activities for the Chinese new year sound so fun! Looks like kids enjoyed it a lot, whether they are being homeschooled or not. What great activities to explore and celebrate such a beautiful part of the Chinese culture. Chinese New Year is fast approaching so this is a great suggestion for after-school activities. Really cool activity, this way kids will learn culture and have fun. My son also made dragon at his school for Chinese new year. It looks like a fun day was had by all the homeschooling kids – love the making of Chinese lanterns!! It’s nice to have activities for kids that teach them something about a culture, like this one for Chinese New Year!